The year was 1915. Although there were distant threats of involvement in a World War, life in East Greenbush moved on in orderly fashion. Like so many of the small towns in the area, East Greenbush was in a period of simple grandeur. The sturdy old homes along the tree-lined Post Road, now Routes 9 & 20, were painted and neat picket fences surrounded many of the homes and yards. The Albany Southern Railroad moved through the Village on time each hour and provided speedy transportation to the Plaza in Albany. The Greenbush Reformed Church, Duff's Hotel and the Hillcrest Inn formed the center of town. The ladies of the area would meet at Link's Store to gossip and make their purchases while the gentlemen met at the Mahogany Bar in the appropriate room at Duff's Hotel. 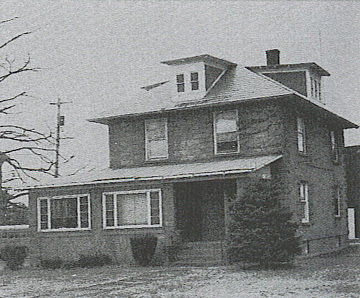 Hillcrest Inn was a large three story building, surrounded by many porches and set in a grove of pine trees on the north side of the Post Road, where the Rensselaer Elks Lodge parking lot is now located. In October 1915, a spectacular fire destroyed this landmark. 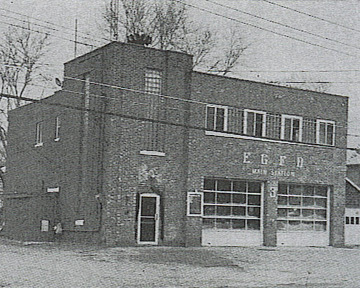 On the evening of January 7, 1916, a group of seventeen citizens met to organize the East Greenbush Volunteer Fire Company. 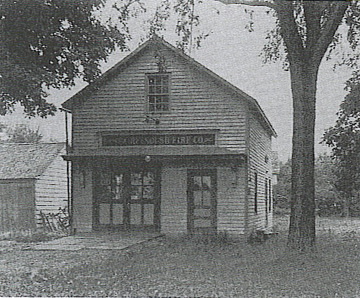 The meeting was held in the parlor of Duff's Hotel, which, after numerous altercations, now houses the East Greenbush Pharmacy. It was decided that the fire district would be the same as that covered by the school district. Officers elected at this meeting were: President, Charles M.Link; Secretary, John L. Baker; Treasurer, John Duff; Committee on By-Laws, Solon Duff, John W. Trueworthy, Charles B. Story. At the second meeting, Charles M. Link resigned as President to be elected the first Captain and Elery D. Smith was then elected President, with Edward Cummings as Vice President and Jesse Van Valkenburg as Lieutenant. Mr. Duff provided the meeting room in an unused portion of the Hotel rent free for one year. Incorporation proceedings started in March, 1916 and the Certificate of Incorporation was received on June 18, 1916. 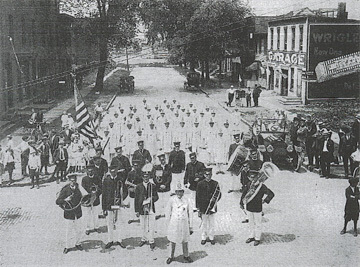 Membership in the Hudson Valley Firemen's Association was granted in August 1916. Some time later, the property on the corner of Columbia Turnpike and Hays Road was purchased after the house was destroyed by fire. In January of 1922, the front portion of this property was sold to Edward Ryscdorph, whose some many years later was elected Chief of the Company. This property has changed hands several times since then and is now owned, once again, by the fire company, housing Corporation Headquarters. 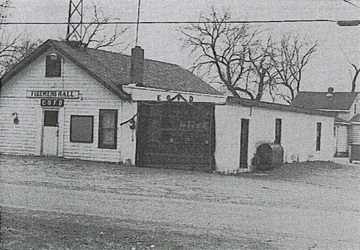 An out building on this property was used as the first fire house and served until 1947 when a new building was erected. In 1959 it was remodeled and enlarged to house three trucks with meeting room, club room and kitchen upstairs. In July 1917, a used Part and Palmer touring car was purchased by the Company. It was modified to carry a tank chassis with hand extinguishers which was turned over to the Company by the Purchasing Committee. (1) A Ford one ton truck was purchased in 1922 for $450.00, less trade-in of $110. (2) At a special meeting in February of 1925, the members brought a Stewart Chassis with Buffalo equipment. (3) Following the formation of East Greenbush Fire District No. 3, all equipment was purchased by the District with tax funds. These have included a 1938 Mack Pumper. 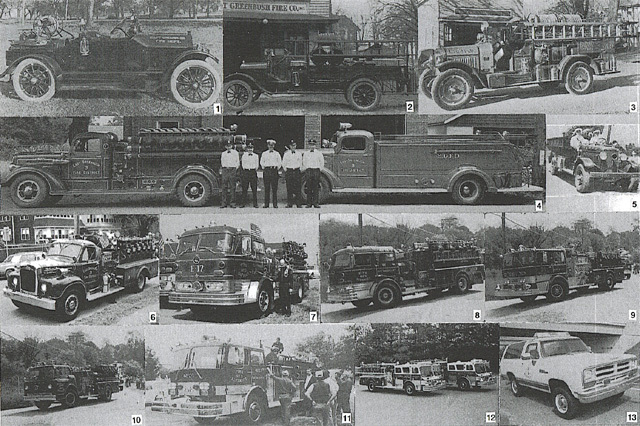 (4-L) a standard chassis 1944 Mack truck which was modified to hold a 1000 gallon tank and portable pump (4-R) a c1942 Sterling chain driven, army surplus vehicle* (5) a 1958 Mack Pumper (6) a 1963 Mack Pumper (7) and Tanker (8) a 1972 Ward LaFrance Pumper (9) a 1970 Ford Pumper* (10) a 1978 FMC Pumper (11) Two 1987 Hahn Pumpers (12) and two 1989 Dodge Rams for Chief's vehicles. (13) The 1958 Mack, 1972 Ward, 1978 FMC, both Hahns and both Dodge Rams comprise the vehicles currently owned by the company, all of them fully equiped with the latest firefighting tools and equipment. * These were originally Sherwood Park Fire Company Trucks. North Station before the addition. Park Station before becoming our new Headquarters and Banquet Facility. In 1972 the Company entered a lease agreement with the Couse Community Center. A former school house site (see History of the Town of East Greenbush), the land on Luther Road was sold to the Company by the Community Center. A building was erected with the agreement that the Company would use the remainder of the building, which included kitchen, meeting room and rest rooms. In 1978 the Center decided they no longer needed the use of this building and the Company took full ownership. 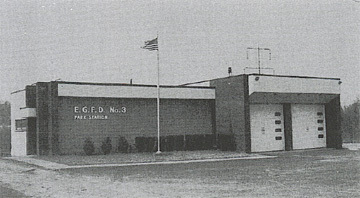 In January 1975 the Company merged with Sherwook Park Fire Company, thereby gaining another fire house, located at 11 Michigan Avenue, Sherwood Park. Before long it became evident that the building was inadequate and in need of upgrading. In the interest of the Company it was decided that a new Park Station should be built. Land on Phillips Road was donated to the company by the George Witbeck family, and the new Park Station was completed in 1983. Beside the fire house the Park also boasts a large outdoor pavilion and separate restroom favilities to be used for outdoor events.